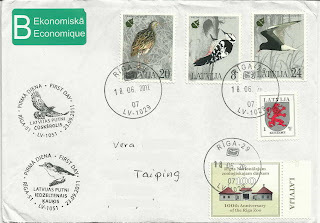 A nice cover from an exchange I did during June 2012, with a stamp friend in Latvia. 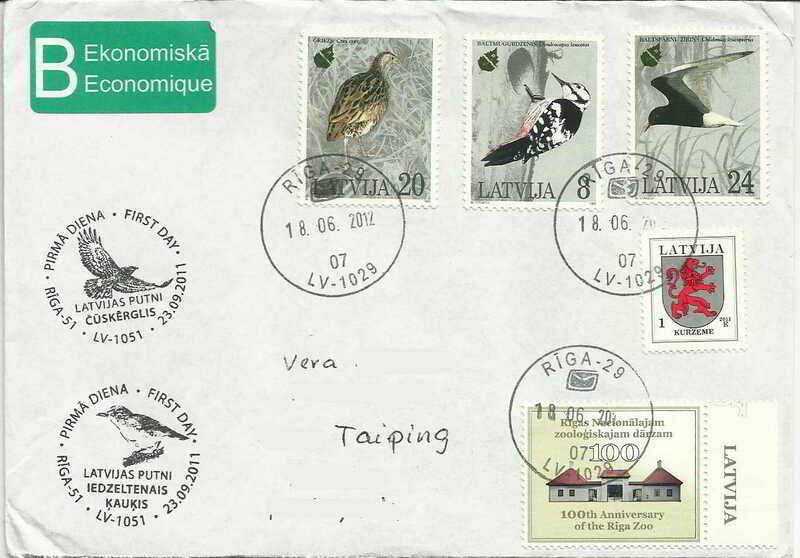 Cancelled in Riga, the stamps were issued in 1995 for the European nature conservation year. The birds: 20s Corn Crake (Crex crex), 8s White backed woodpecker (Dendrocopus leucotos) and 24 s White-winged tern (Chlidonias leucopterus).